Recruiters are checking their compliance practices after an employment business – and its director – was said to be facing a £10million ‘transfer of debt’ notice from the taxman under the Managed Service Company legislation. Under the legislation, “third parties” which includes recruitment agencies; their office holders and directors, can have the tax debts from individual limited company contractors transferred to them if they are unpaid after three months. This transfer takes effect where the contractor’s employment tax liability, levied by the MSC rules, is seen as “irrecoverable” from the MSC, typically the contractor, and where the recruiter/third party encouraged services to, or was actively involved in, the accused company. The agency in the latest reported case, which “highlights the very real danger of ignoring compliance” in this area, seems to have failed to take the “appropriate due diligence” steps to mitigate their risk to the 2007 legislation. “In simple terms, there are two different ways of doing this correctly,” added sector trade body the Freelancer and Contractor Services Association, which made these claims yesterday. 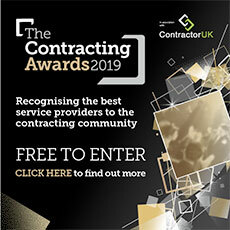 “One is to leave contractors and freelancers alone to gather their own information on the different ways of working available to them and allow them to choose an appropriate service provider without help. Although compliance advisors point to benefits and disadvantages with both approaches, they say that if implemented thoroughly, either approach can minimise an employment firm’s exposure. Adopting the first, hands-off approach, agencies must be careful that their staff do not informally recommend any business based on their previous relationships or contacts, FCSA said, which should constitute a breach of the agency’s company policy. And with the alternative, PSL-led approach, agencies with such potentially valuable agreements in place “need to ensure that a thorough process of due diligence is completed” in the drawing up and ongoing management of the list, urged FCSA chairman Stuart Davis. Like end clients, recruiters can appeal against a debt transfer notice by presenting arguments in reference to the MSC legislation as to why the company was not, or should not be considered, a managed service company, to the Special Commissioners within 30 days of the notice’s issue date.